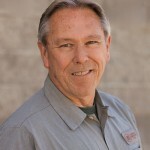 Mike Markham Sr. has been in the construction industry since 1973 and founded Markham Contracting Co., Inc. in 1977. He has a B.S. in Construction Engineering from Arizona State University and is active in the Del E. Webb School of Construction at ASU where he served on the Executive Committee as Vice President for the Council, and remains a member of Sigma Lambda Chi Honor Society. Mike has been active with the American Subcontractors Association (ASA) since 1989 and has served as the Arizona Chapter President. In addition, Mike has served as a National Director for the ASA and on its Executive Committee, and the Board of Directors for Arizona General Contractors Association (AGC) as well as the Juvenile Diabetes Research Foundation. 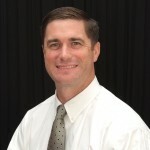 Mike Markham Jr. has been working in the construction industry since 1995 and has a B.S. in Construction Engineering from Arizona State University. Mike has been a part of the Markham management team since 2001. He actively participates in the Valley Partnership, and attends various committee and liaison meetings for the AGC (American General Contractors Association), ACEC (American Council Of Engineering Companies of Arizona) and ASA (American Subcontractors Association). 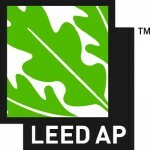 Mike has been a member of Vistage, an executive leadership program since 2007, and became a LEED AP in 2008. In 2010 and 2011 he was recognized by AZRE People to Know in the General Contractors and Subcontractors categories. ENR Southwest has recognized Mike in the Top 20 Under 40. Mike believes in giving back to the community by being involved in organizations such as Valley Partnership’s community projects where he serves on the planning committee focusing on improving facilities for children and as the Project Manager for the award winning Associated General Contractors of America Chapter volunteer project, Sunshine Acres, a children’s home for those who have been separated from their parents. Heather has been with the company since 2003 overseeing and managing Markham’s information systems, human resource department, business development, project staff and streamlining internal operations. Heather graduated from the University of Colorado, Boulder with a B.S. 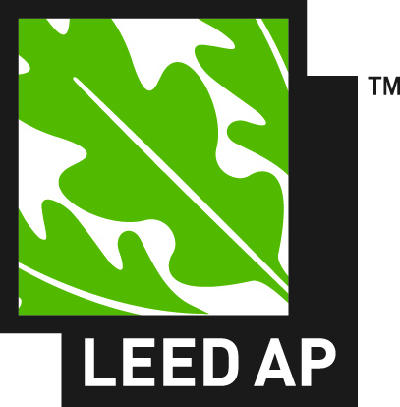 in Business Administration with an emphasis in Information Technology and in 2008 became a LEED AP. 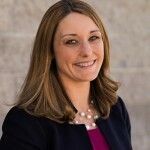 Heather was a graduate of the first Young Advocates Class of Valley Partnership, currently serves as the Co-Chair for the Valley Partnership Community Project and actively participates on various committee and liaison meetings for the AGC (American General Contractors Association), ACEC (American Council Of Engineering Companies of Arizona), ASA (American Subcontractors Association), and AAED (Arizona Association for Economic Development. Heather believes in the importance of the community and was on the founding board of Hard Hats and High Heels which focuses on fundraising for organizations that promote improving the well being of those who are less fortunate. She has also taught elementary students promoting “business” through Junior Achievement, coached volleyball students in junior high as well as taught children in Sunday school. Hollis has worked in the heavy equipment maintenance field since 1973 and has been an integral part of the Markham team since 1979. 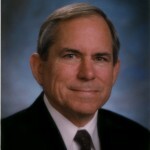 Hollis became Vice President of Equipment Operations in 1995. He was an active member of the Arizona Fleet Maintenance Council for 15 years, and served as Chairman of the Local 428 Operating Engineers Joint Apprenticeship Committee. Hollis manages our Health and Safety program and is a certified OSHA Authorized outreach trainer for 10/30 hour classes.